Welcome to the resource center for the Breadboard Expansion for NI myRIO! The MXP Breadboard provides a 300 tie breadboard & 50 tie bus bar on an expansion card compatible with the myRIO Expansion Port (MXP). 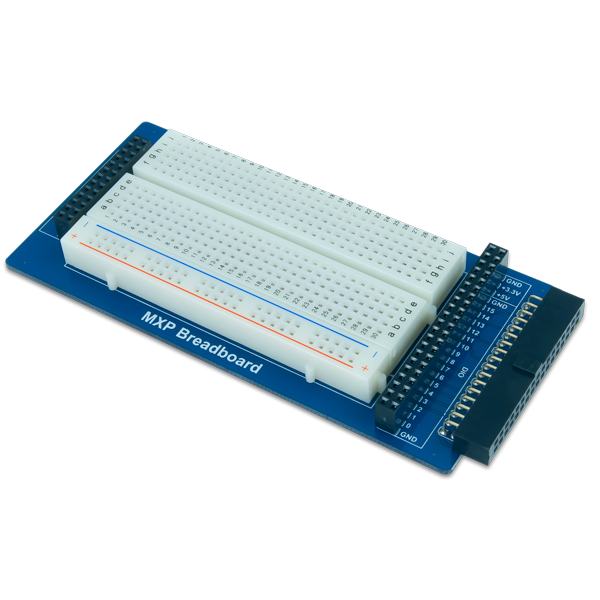 The MXP Breadboard functions as an I/O breakout, with digital and analog signals mapped to two headers on either side of the breadboard itself. The MXP Breadboard's connector is also keyed to ensure correct connection with your NI myRIO. Sell Sheet – Sell Sheet is currently unavailable.